Having dreadlocks has been, without a doubt, a wonderful experience. I can wake up and go, I don’t have to do much maintenance beyond a monthly re-twist and weekly washing, and I stand out in a crowd rather than blending in. Most importantly, I feel like me with my hair this way. Yet, for all of the ease, I’m learning that I can’t just leave my hair totally to it’s own devices without suffering some consequences. I have naturally dry hair and skin, so without some TLC my strands are left brittle and fragile. You might be thinking that with dreadlocks that doesn’t matter, but if my hair is weak the locs become weak and can break. Today I want to share the habits I’ve picked up to keep my locs and scalp strong. The best part? These tips can work for any kind of hair – especially if you struggle with dry hair. Shampoos are naturally drying, but if you keep your washing to a minimum you’ll reap the benefits without destroying your hair. I really like to use this generic version of the Paul Mitchell tea tree shampoo, because tea tree oil is great for soothing the skin as well as aiding in the fight against dandruff. With this shampoo my scalp and locs stay fresh after one wash per week. If I have gone too long without a wash, or find that I’ve used too much shampoo and my scalp looks gross, I’ll turn to apple cider vinegar (ACV) for an extra kick. Apple cider vinegar is a real cure-all for the hair: it balances pH levels, fights dandruff, and pulls buildup clear from your strands. I mix 1/2 cup ACV to 2 cups water and apply it directly to my scalp. I massage it through, then rinse it out. It does a great job of clearing the excess away and leaves my hair looking shiny and strong. I may have cut out the over-washing, but I still have to make sure my hair is getting proper hydration without being dunked in a bucket. My alternative? Rose water! 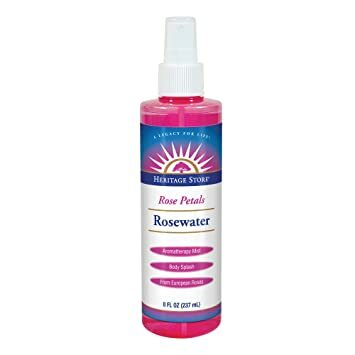 It’s pretty hot right now, and for good reason – rose water is soothing, balancing and great for adding shine. I’ve even taken to spritzing my face with it first thing in the morning to tone. It’s currently my favorite body product. This one is a big one, so don’t skip it! When you suffer from dry scalp it’s really important to use the right kinds of moisture sealants. You don’t want to cake your head with things that are going to block out moisture and dehydrate your precious skin. 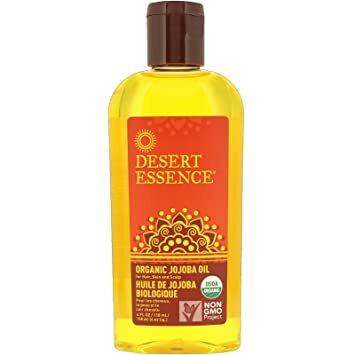 I like to use jojoba oil, because it mimics the oil our scalp naturally produces, called sebum. After I spritz my scalp and strands with rose water, I will seal in the moisture with the jojoba oil. I apply a few drops all over my finger tips and massage it along my head and hair. It’s really made a difference in my overall hair health. Admittedly, this is the hardest one for me to abide by. I have terminal hand-in – hair syndrome. I’m always playing with my hair, pulling it up, and twisting it about. Even with my locs it’s so important to just let it be to see results. Instead of retwisting my roots religiously, I now leave it be until it’s been about six weeks. Then, I will do a gentle retwist on my roots with just water and jojoba oil. Thankfully, my hair has thickened out because of this. Constant hairstyling, heat, or tight ponytails and buns will eventually lead to breakage or traction alopecia. So, if you want to watch your hair soar, you’ve got to sit back and trust the process. What are you using to take care of your locs? Let me know in the comments!